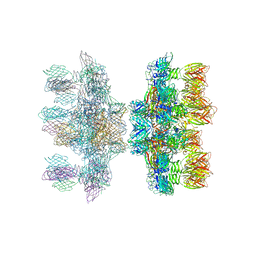 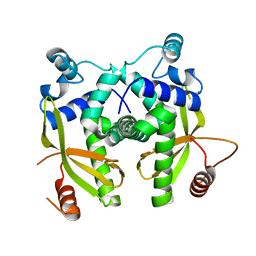 著者 Sciara, G., Bebeacua, C., Bron, P., Tremblay, D., Ortiz-Lombardia, M., Lichiere, J., van Heel, M., Campanacci, V., Moineau, S., Cambillau, C.
主引用文献 Structure of Lactococcal Phage P2 Baseplate and its Mechanism of Activation. 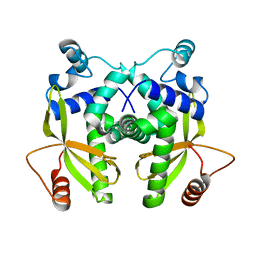 主引用文献 Receptor-binding protein of Lactococcus lactis phages: identification and characterization of the saccharide receptor-binding site. 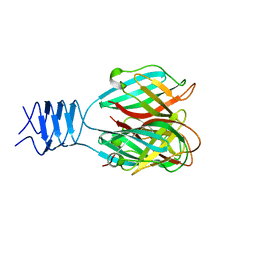 著者 Spinelli, S., Mccabe, O., Farenc, C., Tremblay, D., Blangy, S., Oscarson, S., Moineau, S., Cambillau, C.
主引用文献 The targeted recognition of Lactococcus lactis phages to their polysaccharide receptors. 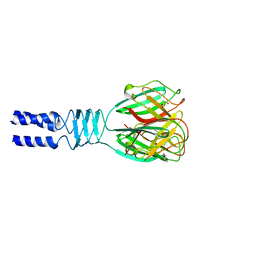 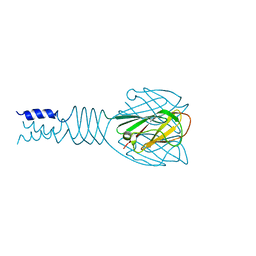 著者 Spinelli, S., Desmyter, A., Verrips, C.T., Dehaard, H.J.W., Moineau, S., Cambillau, C.
主引用文献 Lactococcal Bacteriophage P2 Receptor-Binding Protein Structure Suggests a Common Ancestor Gene with Bacterial and Mammalian Viruses. 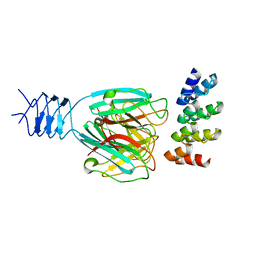 著者 Spinelli, S., Desmyter, A., Verrips, C.T., de Haard, H.J.W., Moineau, S., Cambillau, C.
主引用文献 Lactococcal Bacteriophage P2 Receptor Binding Protein Structure Suggests a Common Ancestor Gene with Bacterial and Mammalian Viruses. 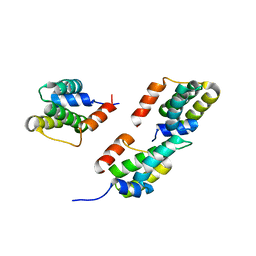 著者 Siponen, M.I., Spinelli, S., Lichiere, J., Moineau, S., Cambillau, C., Campanacci, V.
著者 Veesler, D., Dreier, B., Blangy, S., Lichiere, J., Tremblay, D., Moineau, S., Spinelli, S., Tegoni, M., Pluckthun, A., Campanacci, V., Cambillau, C.
主引用文献 Crystal structure and function of a DARPin neutralizing inhibitor of lactococcal phage TP901-1: comparison of DARPin and camelid VHH binding mode. 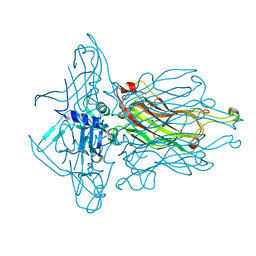 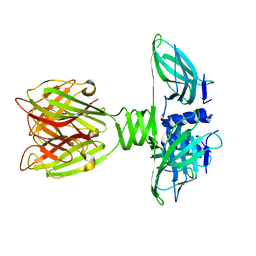 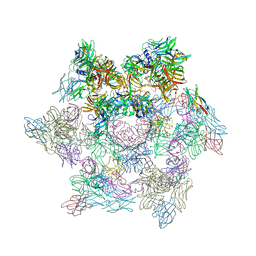 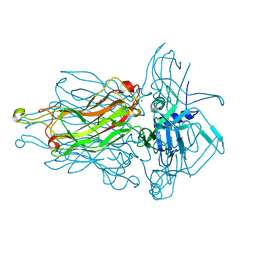 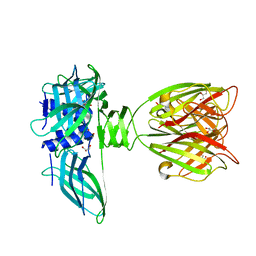 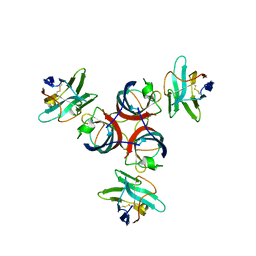 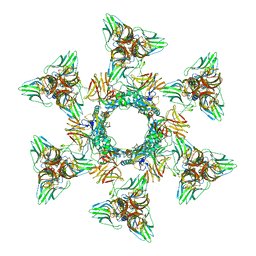 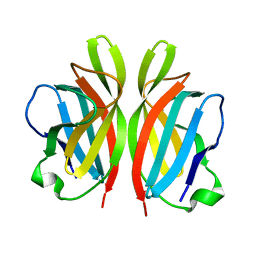 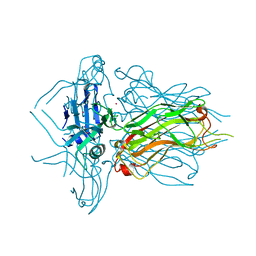 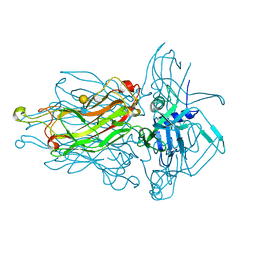 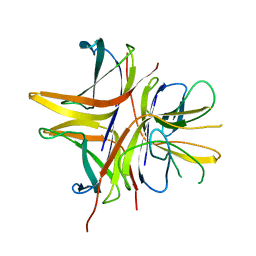 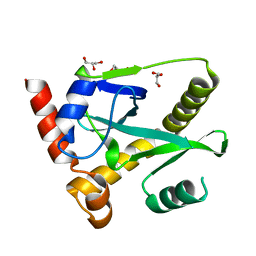 著者 Samson, J., Spinelli, S., Cambillau, C., Moineau, S.
主引用文献 Structure and activity of AbiQ, a lactococcal endoribonuclease belonging to the type III toxin-antitoxin system. 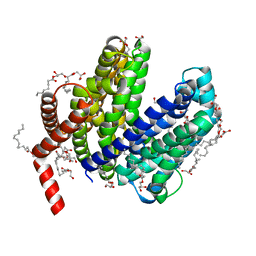 著者 Farenc, C., Spinelli, S., Bebeacua, C., Tremblay, D., Orlov, I., Blangy, S., Klaholz, B.P., Moineau, S., Cambillau, C.
著者 Spinelli, S., Moineau, S., Cambillau, C.
著者 Ricagno, S., Cambillau, C.
著者 Siponen, M.I., Blangy, S., Spinelli, S., Cambillau, C., Campanacci, V.
著者 Siponen, M.I., Blangy, S., Spinelli, S., Vera, L., Cambillau, C., Campanacci, V.
主引用文献 Crystal structure of a chimeric receptor binding protein constructed from two lactococcal phages. 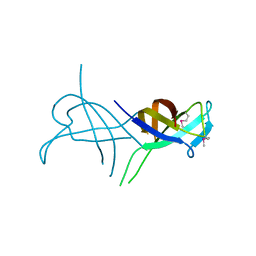 著者 Scaltriti, E., Cambillau, C., Ortiz-Lombardia, M.
主引用文献 Structure and Function of Phage P2 Orf34(P2), a New Type of Single-Stranded DNA Binding Protein.